Few things are as tragic and terrifying as losing your home in a natural disaster. From fires like the ones we are seeing in California and throughout the Northwest, to floods, and other forms of severe weather, there is no doubt that mother nature can wreak havoc on the homes we count on to shelter us. While we cannot always control what happens to our homes, there are steps that homeowners can take to protect your home from severe damage in the event that a severe weather event does strike. Knowing the risks your new home faces is the first step in taking protective measures. Here are some things that you can do. Assess your property for possible risks. Understand the potential severe weather events in your area. Are you at risk of fires? Floods? Hurricanes? What risks are specific to your home? For example, if you are living in an old construction home, your home may be more at risk of damage to the roof caused by severe winds. Or, if you have a basement, the basement may be at a greater risk of flooding. Understand flood zones and what you can do to mitigate flood damage. When assessing your property for possible risks, you also need to check FEMA’s (Federal Emergency Management Agency) flood zone maps. 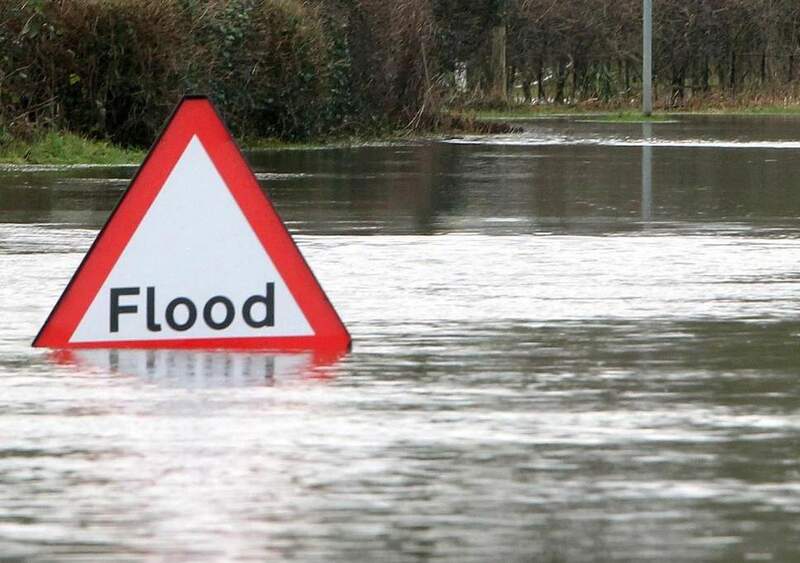 If you are in a flood zone, there are options that are available to you in terms of mitigating flood damage in the event that a flood does strike. For example, elevating your home may be an option. Talk to your home builder about any concerns you may have about severe weather in your area and see what options are available to address them. Fire resistant home and landscaping materials. If you are constructing a new home, consider the type of home building material you choose. Talk with your new home builder about fire-resistant materials, like brick, during the construction phase. Also, if fires are a concern, consider using natural fire barriers in your landscaping using non-combustible materials like gravel or concrete. This can help prevent the spread of wildfire and protect your home. Reduce risk of fire by clearing dead trees and vegetation. While nothing may be able to stop a blazing fire that’s out of control, you can reduce your risk of fire by removing any dead trees or vegetation on your property. This can also help prevent termite and other pest infestations as well. Take precautions against wind damage. To protect against wind damage, make sure you inspect your roof for loose shingles on an annual basis. You should also keep trees and bushes reasonably pruned, and top tall trees that are at risk of being blown over by high winds. Get great homeowners’ insurance. While there may be no way to stop mother nature’s wrath, having great homeowners’ insurance can protect you in the event that disaster does strike. Having a newer home that utilizes the best in building materials and modern construction methods may also help to keep you safe and minimize the risk of severe damage if severe weather hits. At Simplicity Homes, we are building brand new homes throughout the Northwest, including Washington, Oregon, and Idaho. Whether you’re buying your first home or upgrading to your dream home, we can help. Next post: What Are the Stages of New Home Construction?